Earth's End: Retro Weekend Viewing: Terry and the Gunrunners Episode 1! Retro Weekend Viewing: Terry and the Gunrunners Episode 1! Above: The cast of Terry and the Gunrunners (1985), from left: Adrian Bell as Terry, Phillip Gordon as Ted, and Jennifer Duke as Polly. Leading up to the release of the new edition of Terry Teo and the Gunrunners, now seems like the perfect timing to catch-up on the classic 1980s TV adaptation! 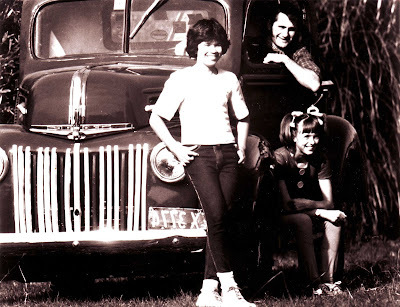 Starring Adrian Bell as Terry Teo, Jennifer Duke as his karate-chopping sister Polly, with former ‘Goon’ member Michael Bentine as the villainous Ray Vegas, and Billy T James as Spud, the humorously philosophical leader of the biker ‘Gang of Forty’ - the series was shot around Auckland in 1985 and aired in April 1986, and in short order Terry Teo became an eighties kiwi icon. Above: Terry and the Gunrunners featured on the cover of The NZ Listener, April 1986. Directed with creative flair by Chris Bailey (Under the Mountain, Street Legal), this six part series was adapted by co-creator Steve Ballantyne and follows the plot of the graphic novel closely, with some additional surprises thrown in along the way! 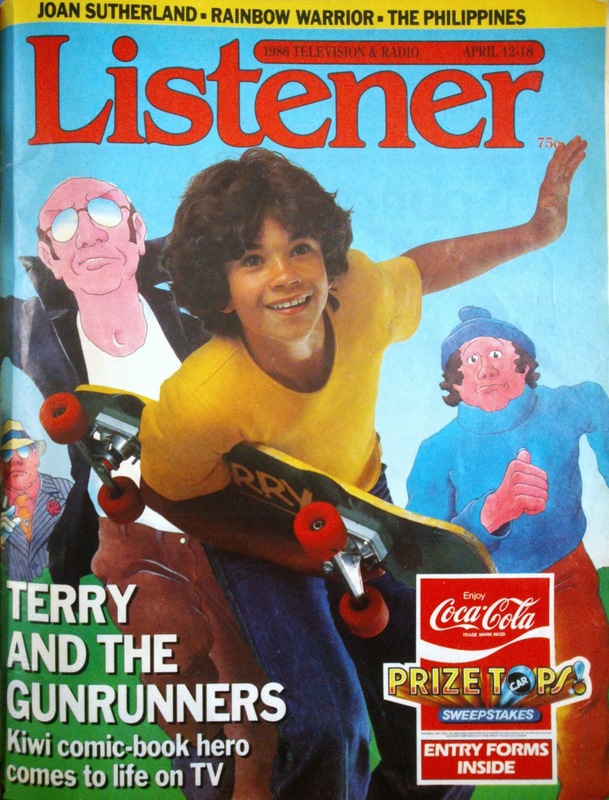 In this first episode, Terry skates down the wrong driveway and accidentally finds himself face to face with Ray Vagas, his thugs Curly and Blue, and their illegal arsenal of weapons! Thanks to NZ On Screen you can now revisit as six episodes online! View Terry and the Gunrunners Episode One HERE. The Proof Copies Have Arrived!